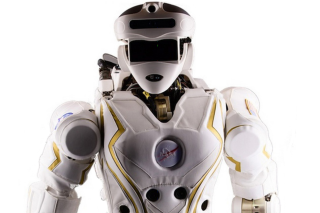 NASA has awarded prototypes of this R5 humanoid robot to college robotics programs at the Massachusetts Institute of Technology and Northeastern University. Two college robotics programs just got the gift of a lifetime: actual NASA prototypes of humanoid robots. The agency awarded one robot to the Massachusetts Institute of Technology (MIT) and one to Northeastern University. The schools will conduct further research and development into how humanoid robots can aid space exploration and actually take the place of astronauts for some experiments. The agency's biggest current goal for R5 is to send it to Mars to help prepare a settlement before humans land. Ideally, the robots could perform mission tasks before humans arrive and then stay on to help the astronauts build living spaces and perform experiments. "Advances in robotics, including human-robotic collaboration, are critical to developing the capabilities required for our journey to Mars," Steve Jurczyk, associate administrator for the Space Technology Mission Directorate (STMD) at NASA Headquarters, said in a statement. "We are excited to engage these university research groups to help NASA with this next big step in robotics technology development." Both research groups participated in DARPA Robotics Challenge run by the Defense Advanced Research Projects Agency— the same challenge in which R5, then called Valkyrie, was first developed. After a competitive selection process, NASA chose MIT and Northeastern University to study and develop the robot further. Along with the prototype, both research groups will get up to $250,000 a year for two years and have access to on-site and virtual technical support from NASA. The university principal investigators, Russ Tedrake for MIT and Taskin Padir for Northeastern, will partner in NASA's Space Robotics Challenge, a robotics software competition planned to launch in 2016. Both R5 robots will be used during the competition to test the software developed by the investigators. The goal of the challenge is to create better software for humanoid robots such as R5, to give them more independence to perform tasks while in deep space.